Coppell senior Naoya Matsumoto practices with the varsity team during eighth period at the CHS tennis center on a chilly afternoon today. The CHS varsity team won the District 9-6A tournament at CHS on Oct. 12. 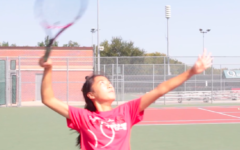 The Coppell High School tennis team puts in hours of blood, sweat and tears all season long. 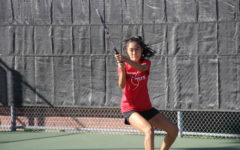 On Oct. 12, it all paid off for the players when they won the District 9-6A championship at the CHS tennis center. 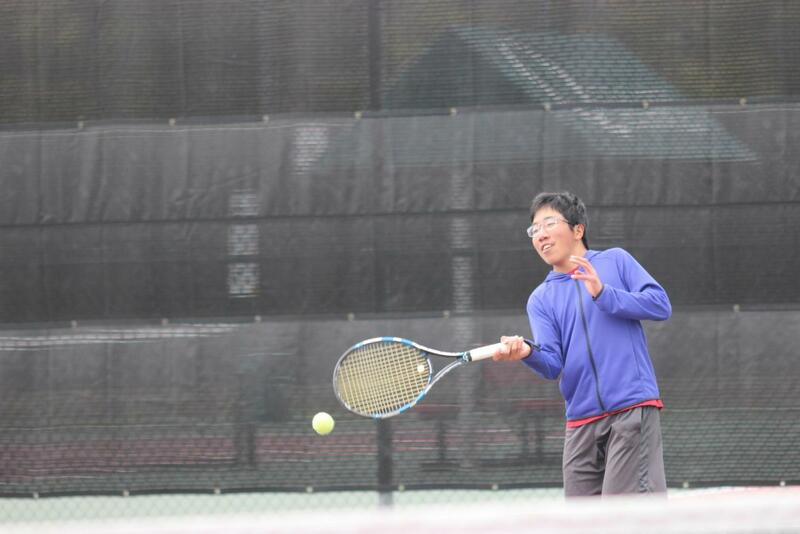 At the beginning of the season, the tennis team made it its goal to make it to at least the regional semifinals, and the players knew they would have to dominate at district to do that. The team ended up winning by a landslide, losing only two matches. Even though the team knew it was strong, it had to remember not to feel overconfident. When asked about key players who made a big difference at the district meet, respected senior Victor Kalev was repeatedly mentioned by Foster and teammates. However, the tennis team is very appreciative of every member of the program, not just the top players. After their victory at district, the tennis team went on to win the area meet on Oct. 20 and the regional quarters last Tuesday. However, they lost to Westwood High School at regional semifinals today. The players are disappointed to be out of the running for state this season, but are proud to have met their early-season goal of making it to regional semifinals. They are already looking forward to the next time they get to compete. 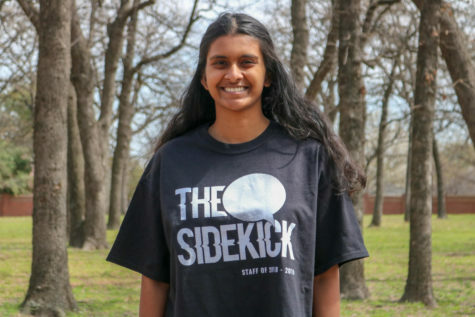 “We’re really excited for spring season,” Senior Sonakshi Chaturvedi said.